What a way to end the dry spell! 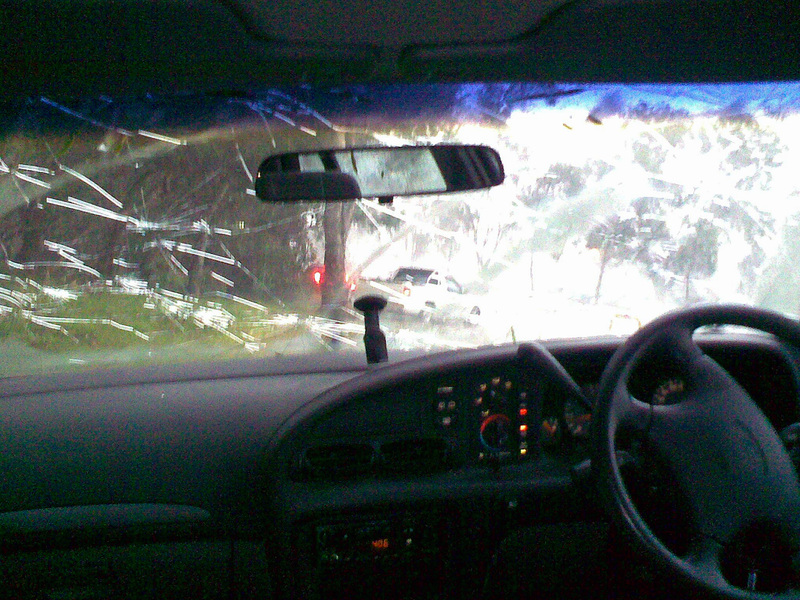 Athletically ducking for cover into the backseat (after pulling over) as hailstones the size of golf-balls shatter your windscreen! Big panel beat ahead for someone but I suspect insurance will write the old Ford wagon off. I crawled home, peering through cracked glass, to find my beloved mopping up a flooded kitchen. Home and office phones both zapped by lightning but a modem survived. Perth traffic remains in chaos. Bits of King’s Park are sliding down into some high rise apartments at the base of Jacob’s Ladder. Perth may match Melbourne of two weeks ago in the spectacular and destructive storm stakes.